They have a two-stage, radial pump that provides a working pressure of 700 kg/cm2/10.000 psi. The first stage allows a quick approach of piston to load and the second stage gives the effective working pressure. With safety relief valve, factory rated at the maximum working pressure. For a continuousoperation, pressure should not exceed 560 kg/cm2/8.000 psi. Frequency: 50Hz. 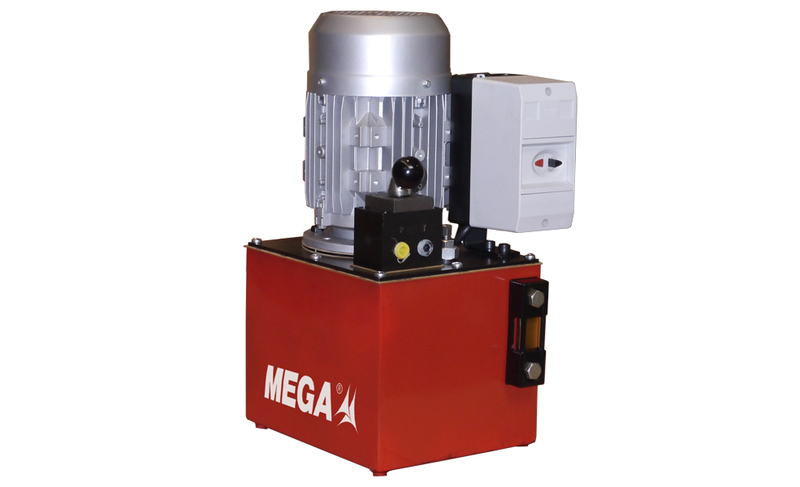 :Δ220V/Y380V -1,5 kW - 2 HP - 1400 rpm. Frequency: 60Hz. :Δ265V/Y460V -1,7 kW - 2,3 HP - 1700 rpm.